Fortress Of Freedom Board :: View topic - Anna Wendland Signs Book Deal With FOF! Anna Wendland Signs Book Deal With FOF! Posted: Thu Aug 25, 2011 11:30 pm Post subject: Anna Wendland Signs Book Deal With FOF! 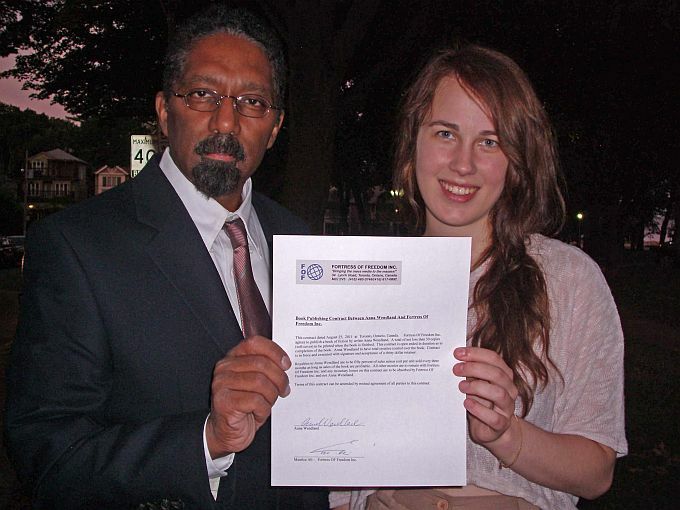 Anna Wendland with FOF President Maurice Ali! The Fortress Of Freedom Corporation is excited to announce that Anna Wendland has signed a publishing contract with Fortress Of Freedom Inc. to write one book of fiction. The contract as executed and in force on August 25, 2011 is the first for Anna Wendland who is a writer/journalist living in Toronto and is also a student at the University of Toronto. So from all of us at this organization, we wish all the best for Anna with her soon to be released book and best wishes on her career in literature and collaboration with Fortress Of Freedom Inc.! 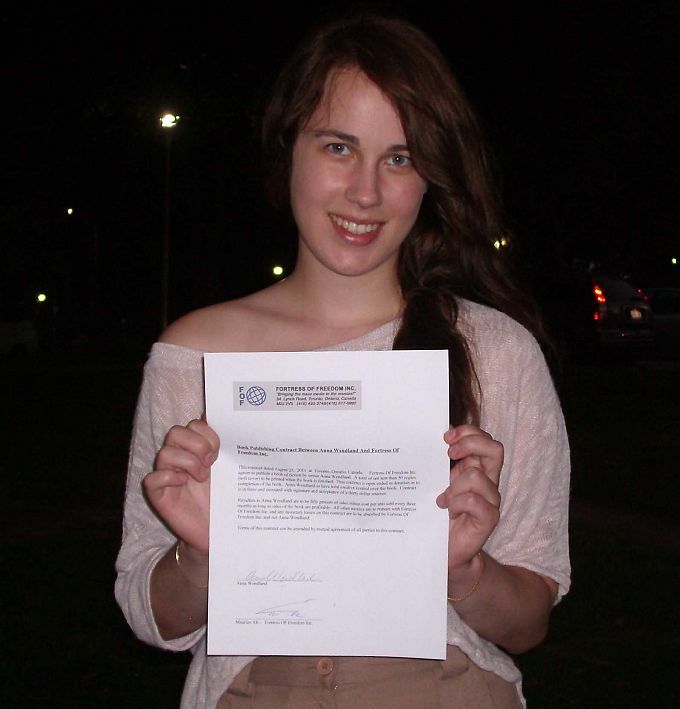 Anna Wendland with her publishing contract!